You can facilitate the process of user account creation in Adaxes Web Interface by using templates. When a new user is created based on a template, properties of the template account along with its group membership get copied to the account of the new user. It eliminates the need to type in the same property values and specify group membership for every new user you create in Active Directory. 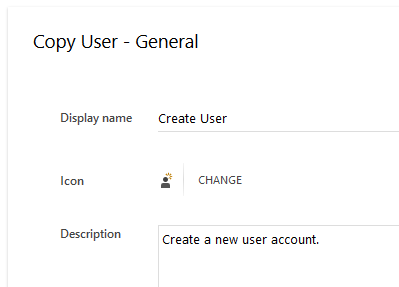 To create a user template, you need to create a user account in Active Directory, add it to the necessary groups, and provide values for the account properties you want to be copied to new users. It is recommended to create a separate template for each category of users. 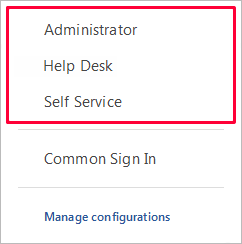 For example, you can create a template for regular users and another one for Help Desk users. When naming a template, it is recommended to place an underscore or a hyphen at the beginning of the user's Full Name so it will be at the top of the list. Example: _SalesAccount, _Subcontractor. In this tutorial, you will learn how to configure the Actions pane to allow creating user accounts based on a template. In the left navigation menu, click Actions. Click the Add button located at the bottom of the Actions section. 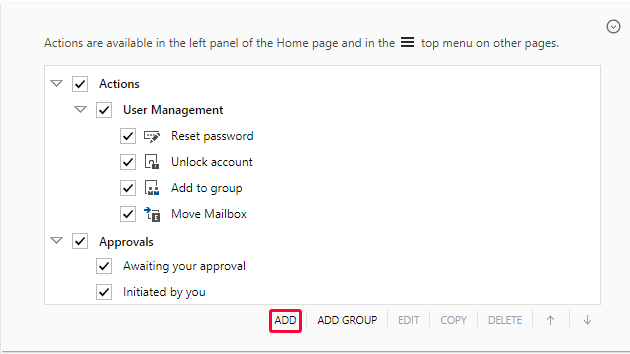 To add an action to a group, select the group prior to clicking the Add button. Select Copy User and click Next. Provide a name and brief description for the new action. If necessary, change the icon associated with the action. Click Next. 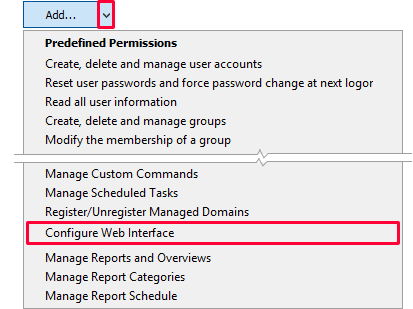 Configure options for selecting the user account that will be used as the template. If you want a specific user account to be always used as the template, select the Always perform on a specific AD object option, and specify the template account. To allow users to choose a template, select the Perform on the selected AD objects option. 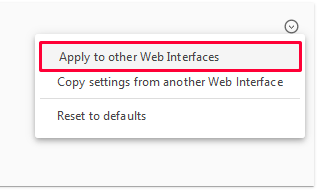 If all user templates are located in a specific container or Organizational Unit, check the Allow selecting only AD objects located under checkbox and specify the location where the templates are stored. 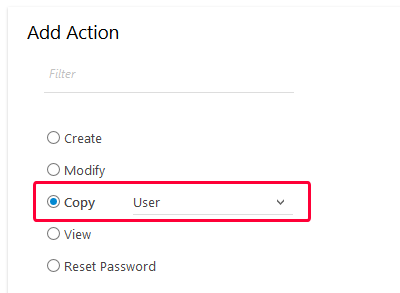 If you want users to be able to select only the accounts that match certain criteria, enable the Allow selecting only AD objects that match LDAP filter option and specify the LDAP filter to apply to user accounts available for selection. User accounts that don't match the filter will not be displayed. For example, if all user templates contain the word Template in their names, you can use the following filter: (name=*Template*). If the names of all user templates begin with an underscore, you can use the following LDAP filter: (name=_*). To create an LDAP filter, you can use the Find dialog in Adaxes Administration Console. 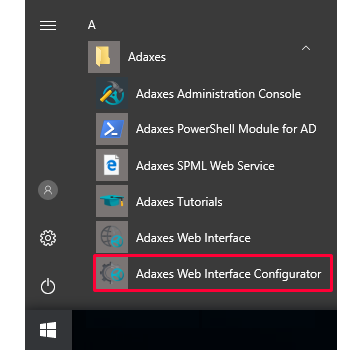 Connect to your Adaxes service and click Find on the toolbar. Activate the LDAP Search tab. In the LDAP filter field, click the embedded button. Create a filter using the LDAP Filter Builder dialog. On the Target Container step, configure the options for selecting the Organizational Unit or container where new users will be created. Click Next. For details on how to customize the options, see Configure Actions Pane. Select the Use customized form option. Modify the form to fit your needs and click OK.
For details on how to customize forms, see Customize Forms for User Creation and Editing (starting from Step 6).